At “Shree Cement The Sacred, Pushkar” the city’s spiritual ambience will combine with divinity itself through the ageless enchantment of music: poignant, vibrant and celestial! 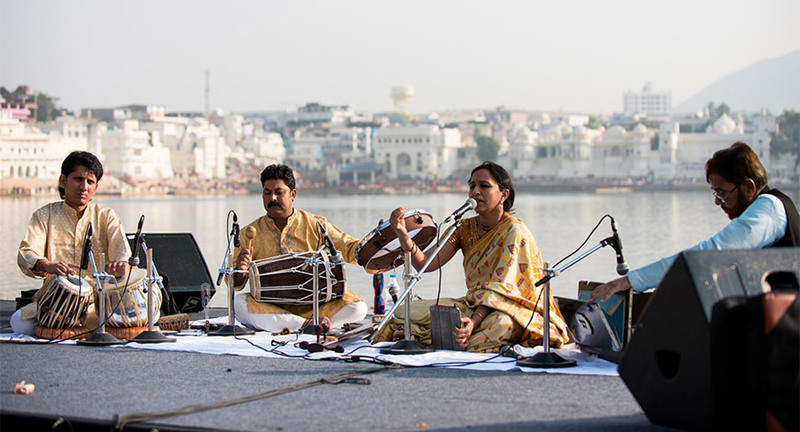 The Festival will bring together some of the most powerful and diverse, national and international performers from various traditions of Sacred Music - Sufi, Gospel, Acapella, Folk and Classical music to Pushkar - a town textured with the tapestry of ancientness, mysticism, mythology, an inclusive cultural heritage and a deep sense of history and spiritual calm. The Festival will feature renowned names such as Grammy award-winning percussionistVikkuVinayakram, Rashmi Agarwal, headline performances by KavitaSethand LaboratoriumPieśni from Poland. Shree Cement The Sacred, Pushkarwill provide an opportunity to appreciate and assimilate Pushkar's diverse religious, architectural, culinary and handicraft offerings: the spectacular Maha Aarti on the ghats against the winter evening sky, a trip down the winding lanes of this colourful town and the vibrant handicrafts created by local artisans. From introducing the temple town’s history, myths and legends to exploring some of the 52 ancient ghats to the Savitri Temple, the curated walks offer the participants a chance to witness the rich heritage of Pushkar. 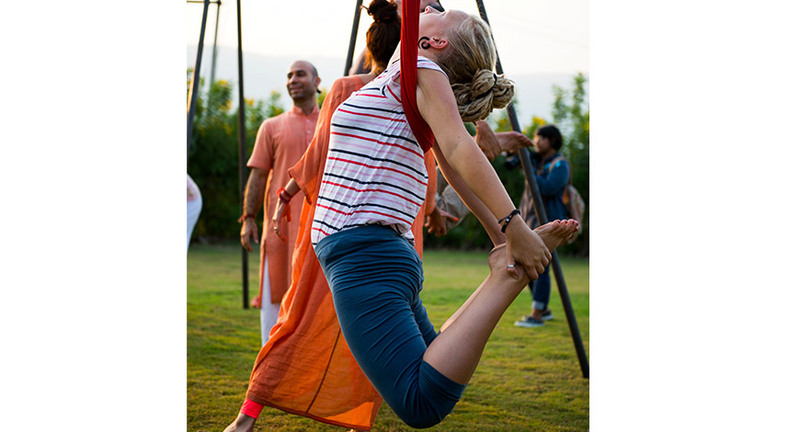 With a thoroughly invigorating and engaging programme, the Festival offers an experience of Pushkar like never-before. 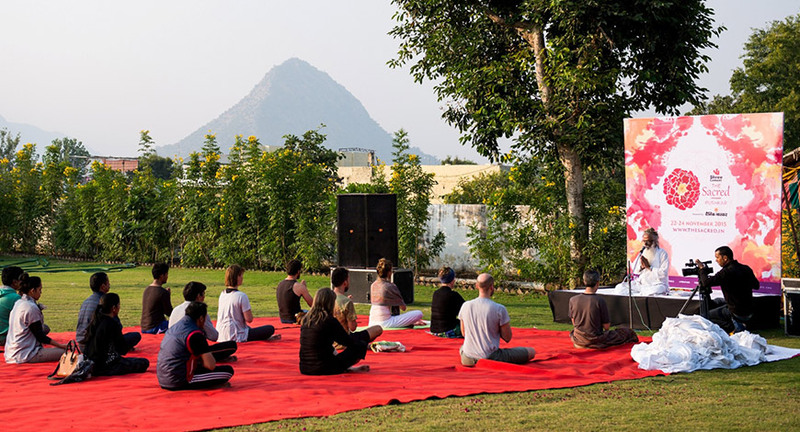 At Jaipur Ghat, mornings will come alive with experienced practitioners conducting Morning Yoga and Meditation sessions, Chanting andSacred Music performancesby renowned musicians. The highlight this year will be the alternation of the vocal and the instrumental - a singer followed by an instrumental performance. There will also be a specially craftedOrganic Bazaar, which will include interactive spaces to learn traditional and healthy cuisines and taste the delectable food that Pushkar has to offer. After spending an eventful day enjoying the ghats and by-lanes of Pushkar, the scintillating Evening music will mark the culmination at the ethereal Jaipur Ghat. The Evening Music will feature performances by VikkuVinayakram, a Grammy award-winning percussionist, LaboratoriumPieśni (Song Laboratory), a female group of A Capella singers from Tri-City (Poland) known for traditional and polyphonic singing and Singhini Research Centre, a Nepalese organization which is dedicated to the preservation and promotion of the music and dance of the Himalayas and many others. While attendance to wonderful Morning, Evening music and Heritage Walks (Prior Registration Required) is free and open to all, a customized delegate package offers a bespoke experience of the festival where delegates can be part of an unforgettable journey. Starting from Rs.20,000/- up to Rs.40,000/- for 3 nights & 2 days accommodation with meals, Delegate Packages include Transfers from Ajmer Railway Station, Invitation to Festival's opening reception, Nagada Workshop, access to morning and evening music with special VIP seating for all the performances, Qawwali evening at Ajmer Sharif, Visit to Savitri Temple by rope-way and Heritage and Food Walks (Prior registration required).